Don't just watch shooting stars. Wear them! Authentic meteorite jewelry for Christmas is now available in the SpaceWeather Store. "It was an amazing sight," says Legg. Indeed, Lovejoy appears to be the finest comet since Comet McNaught in 2007. 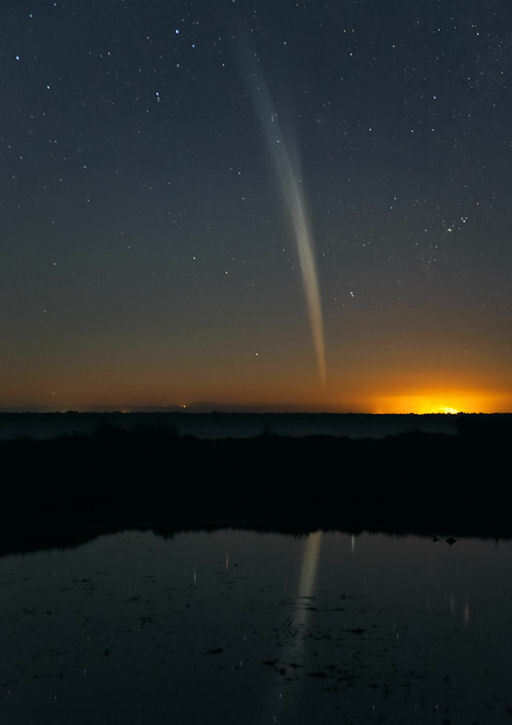 Dawn sightings of Comet Lovejoy are now widespread around the Southern Hemisphere. (The tilt of the comet's orbit does not favor northern sightings.) Many observers are asking about the comet's "double tail." These are the dust and ion tails. The gaseous ion tail is blown almost directly away from the sun by the solar wind, while the heavier, brighter dust tail more closely follows the comet's orbit: diagram. The gap between the two tails can be seen with the naked eye while the sky is still pitch dark ~30 minutes before dawn. "This is what a photo with an exposure time of nearly 6 months looks like," says Koeman. The highest arcs were traced by the summer sun of June 2011. The lowest arc was made just today, Dec. 21st, on the eve of the 2011 winter solstice. Occasional gaps are caused by clouds. Curiously, Koeman had more than one empty beer can to work with on that hot summer day in June when he began his project, so there are multiple views to enjoy. 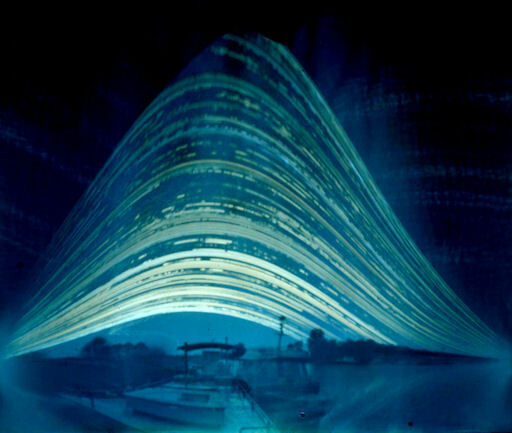 Click here for more solargraphs. On December 22, 2011 there were 1272 potentially hazardous asteroids.